The world-wide Refugee crisis is a very complex phenomenon which has affected most of our lives in the past year. Whether it has been due to sadness, anger, politics, images on television, or documentaries and so on. 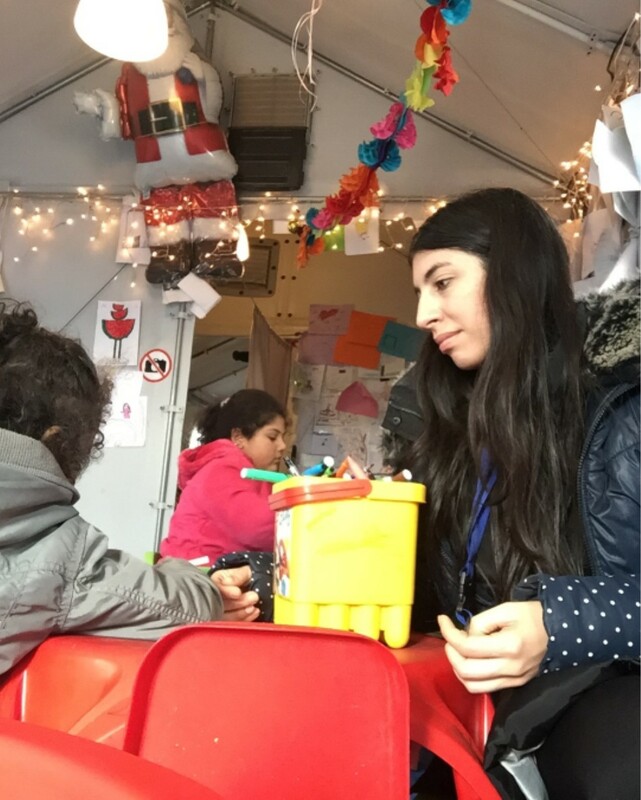 For me personally, my life was massively affected this year as the Idomeni refugee camp in Greece was my everyday life for five months as a volunteer. In October 2015, I decided I could no longer watch people suffer on the news, and knew that I was ready to take on this experience alone. Leaving home with one suitcase, I moved to Greece and dedicated the next few months to coordinating the volunteers at the camp, helping distribute food, water, and clothes received from donations all over the world. Seeing refugees fleeing their country where they once had a home, a school, a job, and now all of it is gone. 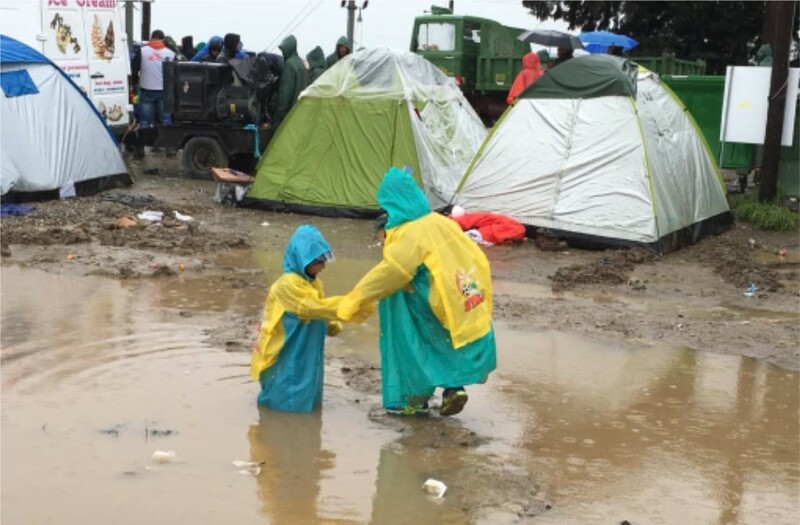 Their lives are on hold whilst sitting in a muddy camp in -11 degrees in the winter. It was extremely moving. “I never wanted to leave Syria, I was studying marketing at University, now I don’t know if I will ever finish my studies or even find a job with a decent salary,’’ said a young Syrian man to me, whist we were trying to keep warm by the outdoor fire. One day my face lit up when I was unpacking a box with clothes in. I pulled out a child’s t-shirt with the Welsh flag on. I knew that someone from back home in Wales had packed that box, and I suddenly felt proud to be Welsh. 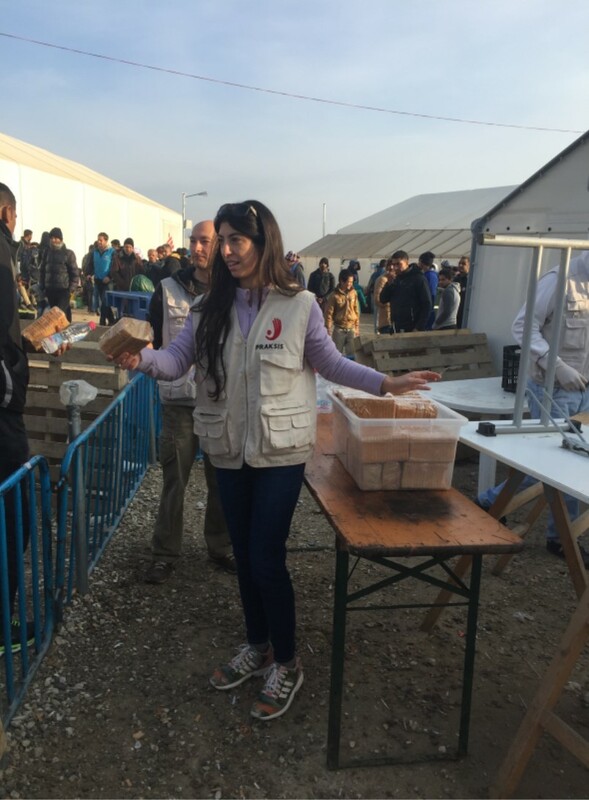 Life at the camp was not easy for the refugees, it was cold in the winter and boiling hot in the summer. The food was minimal, depending on the donations we received. Some days I would hand out a sandwich, other days a can of beans and other days just a pack of biscuits. Seeing the elderly and children was the hardest as they were so vulnerable and tired. But what impressed me most was that the children would find comfort in playing with each other, running in the mud or kicking an old ball on the camp, no phones and no toys, just each other. 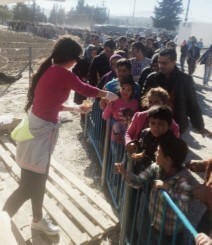 The Syrian people were always extremely polite to us volunteers and grateful for all that we were doing for them. Sometimes the men came in and helped us carry boxes, or translate Arabic to English. I will never forget a pregnant lady that came running up to me saying she was about to leave the border but needed a jacket as she had lost hers at sea, and at that moment the only thing I could find was a male x-large coat. It was not a women’s coat but she was so happy to be warm, that she did not care what it looked like, she hugged me and thanked me and took her bag through the border. From this incident I learnt that many of us who still lead a peaceful daily life may get given a present, it may be big or small, to our taste or the complete opposite of our taste, and we will moan, and rush to exchange it for something else. We never think that what that person may have bought us, another may never have it. Appreciating what we have in our life is extremely important, some truly have nothing as I witnessed, and the most important thing of all is to never judge others, unless you have been in those persons’ shoes you can never feel how they feel, so why judge? The Syrian children are denied access to education in many of the countries they seek asylum in, and others will never get to university, and yet some children who have the luxury to go to school and learn are not interested. It is up to the parent to always positively encourage and affect the child into being accepting, welcoming, caring, and want them to learn in order to produce a new generation of volunteers and kind hearts.